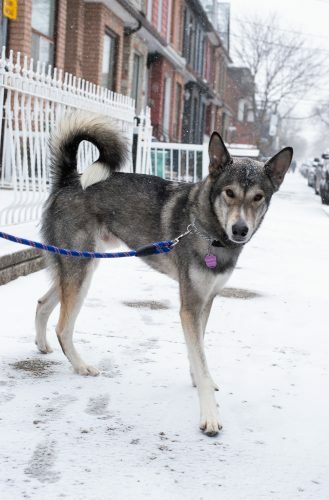 Quinn is a beautiful 2 year old male Husky who has made it from Texas to Canada, just in time for a White Christmas. He’s very affectionate, loves cuddles and big scratches. He’s great with people and has had only positive interactions with dogs and people on our walks so far. Even when the little one’s bark at him because he’s so much bigger, he’s not phased, just looks at us and asks why are they barking? He is now fully house-trained and has made great progress on his leash skills. 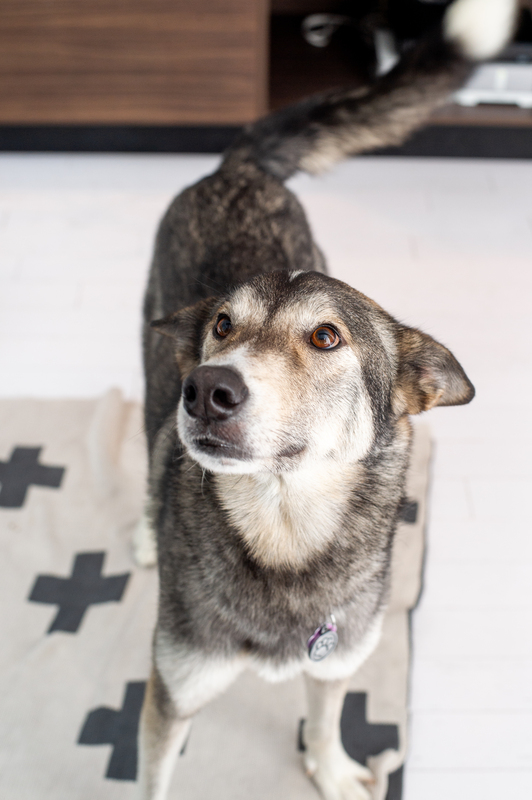 He’s incredibly smart, loves treats and is very trainable. He’s not a big fan of the crate yet, but calms down after a short period and is starting to understand that his humans will return to him, and won’t need to be in there when there’s no more accidents. He’s very calm with his food and treats and shows no food aggressive behaviour. He loves going on big long walks and runs where he can smell all the new smells. Quinn is continuing to work on his training. He knows his name and is currently working on his recall, sit and lie down. When at home, he loves laying down on his blanket next to the couch and watching hockey.He’s so easy to instantly fall in love with! 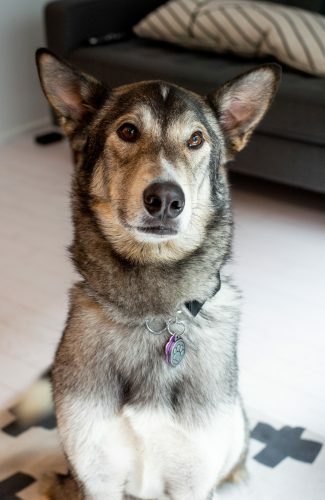 Quinn is looking for a home with an affectionate companion who loves to be active outdoors and would be able to provide a consistent exercise and training routine; this smart boy would love to learn lots of new tricks!